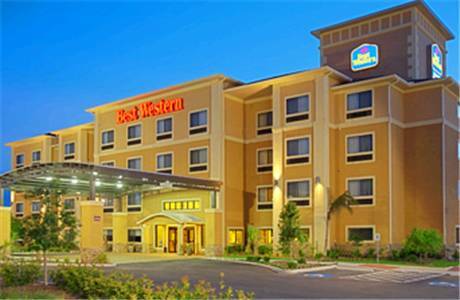 Welcome to the Best Western Plus Palo Alto Inn & Suites! Make the most of your trip, whether its for business or pleasure, by choosing the most convenient property in town, our San Antonio, TX hotel. Just a few miles from Palo Alto College and Lackland Air Force Base, this hotel in San Antonio, TX is a favorite for academics and business travelers alike. Whether its a meeting at the nearby Plesanton Oil Fields or a semester at Texas A&M University, staying at a comfortable hotel with affordable, extended rates can make your trip smoother and more enjoyable. Enjoy southern hospitality at its finest, starting with a free, full hot breakfast buffet every morning. For travelers who prefer a Texas-sized room, there are full-sized suites available. Free Wi-Fi and a pillow top bed provide all the comforts of home. Take a stroll along the San Antonio River Walk for a romantic escape or head to Mission del Lago to experience local culture. The San Antonio Zoo is a favorite for kids of all ages and SeaWorld of San Antonio is a thrill that cant be missed. In between meetings at Toyota or business at Southwest General Hospital, depend on our friendly and knowledgeable staff to provide recommendations on things to do and see in the area. Discover a famous barbecue joint, or check out some of the legendary shopping at malls and boutiques near your San Antonio, TX hotel. You'll be just two miles from South Park Mall and Southwest General Hospital. The Henry B. Gonzales Convention Center is walkable and dishes up some of the best events in all of Texas year-round. No matter what brings you to the Lone Star State, stay in style at our welcoming San Antonio hotel. Start your next adventure today and reserve your suite or room at the Best Western Plus Palo Alto Inn & Suites! Enjoy your stay! ~81 miles from San Antonio.